Basic knowledge of the components of a Baitcasting Reel can help a lot in making an amateur angler to a professional one. It may seem complex at first but once you get the hang of it, it’ll help you in getting the glorious award. Each Baitcasting reel is different from one other, with variances in quality of the line and casting accuracy. The one with the highest of these qualities will help you to catch prized fishes like largemouth bass, northern pike and even muskellunge from even the tiniest lakes, ponds or rivers. Measure how far your lure is, make sure that it is 6-12 inches (15 to 30 centimeters) from the rod tip and reel the line in. Get a good grip of the reel. Place your thumb over the reel spool rather than pressing the very flat of it on the line. The design of a Baitcasting rod is similar to that of a Spincasting rod. The main difference between both of them is the placement and direction of the spool. You can notice that the reel with the spool that is in line with the fishing rod is that of a Baitcasting Reel’s while spools that are perpendicular to the rod are that of a Spincasting Reel’s. This is the foremost and most important thing to find out, that is, the right gear ratio. Gear Ratio plays an important factor in a Baitcasting Reel as it affects the speed of the lure retrieve. Gear ratio basically means the number of times the spool is rotated when the handle is rotated once. For example, if there is a ratio mentioned of 5:1 it means the spool will turn 5 times when the handle is rotated once. Make sure that the first number is the highest and this, in turn, will give you the fastest lure retrieve. The ideal Gear Ratio is 5:1 which is pretty average, anything below that ratio (for example 4:1) is considered slow and anything above the average ratio (for example 6:1) is considered fast. Deciding what Gear ratio to settle for always depends upon the lure you’ll be catching. A Gear ratio as low as 3:1 is best for diving crankbaits and large spinner baits. An average gear ratio of 5:1 is best for Texas rigs, jigs, and soft plastics. A fast gear ratio, 6:1 or 7:1 higher, is required for lures that need a fast action like spinner baits, buzz baits, and others. A heavier line is required for handling large and strong fishes, and heavier lines take up more space on the spool. In situations like this, it is important to choose a deep spool so as to hold the heavy line. Larger fishes tend to take a lot of runs while you’re luring them in, that’s why you will need an extra line as well. Ultimately, a nice deep spool will give you space to hold heavier and extra lines. Smaller spool for containing lighter lines can be used for bass fishing, somewhere around 12-pound test provides the strength that is required to capture such fish. You won’t have to sacrifice the accuracy and versatility of the Baitcast also. 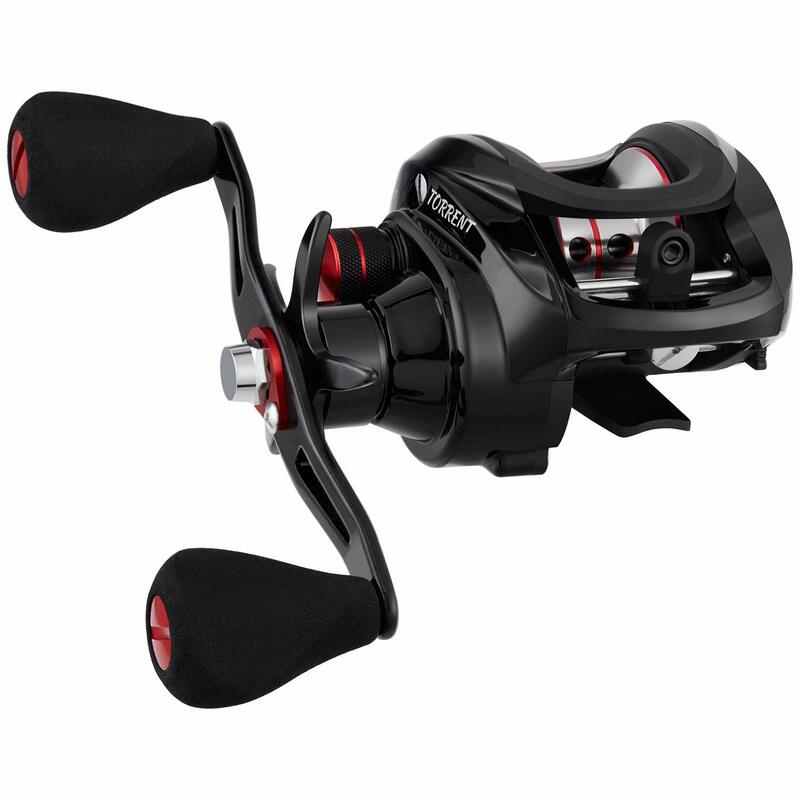 Comfort is the most important factor to consider while buying a Baitcasting Reel. If the Baitcast isn’t comfortable for you to hold and grip in your hands then it is of no use and you’re not going to get any benefit out of it. When buying a Baitcast make sure that there are a comfortable grip and a proper balance for rod and reel combination, this way it will help you to cast with more accuracy and make you an effective angler also. With a comfortable baitcast even if you have cast so many times in one single day, it won’t compromise with the accuracy and provide you consistent results throughout. Use the help of trial and error method, try out multiple reels to find the best one which provides you utmost comfort. Test out the components, features, mechanism and reeling handles, etc. 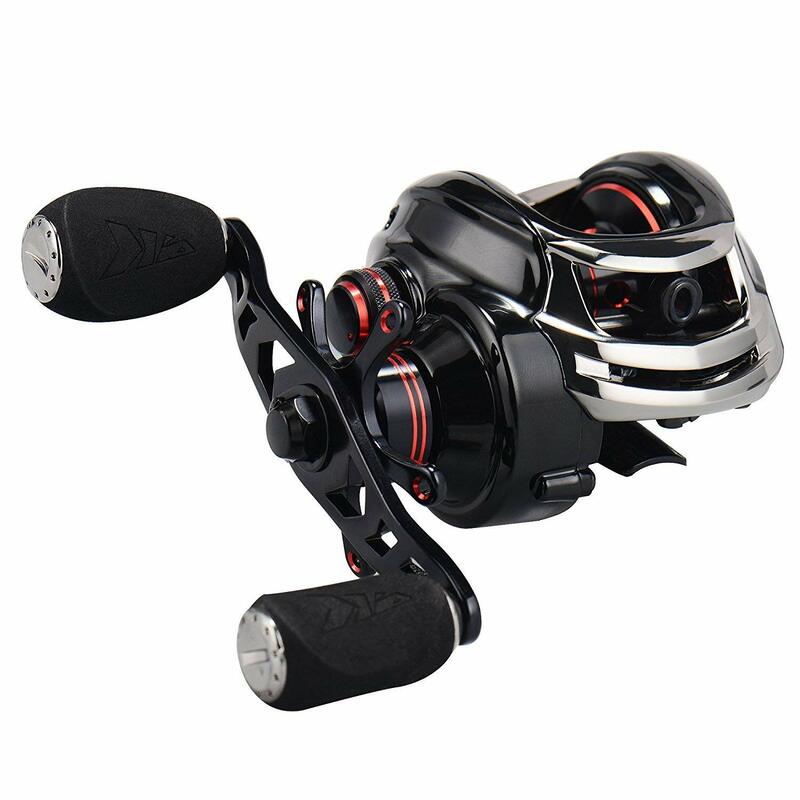 Various models of Baitcasting Reels come with different features and components thus varying in prices also. There are models with minimal features which are very expensive, these don’t guarantee utmost performance and satisfaction while there are models available for a cheaper price, and feature packed and provides the best performance. Thus it is important to set a budget first and then start researching regarding the reels. The first Baitcaster you purchase should not be a single purpose but a multipurpose one, and it should satisfy your budget also. Try getting the one with a gear ratio between 6:2:1 to 7:0:1, this allows you to adjust the speed of retrieving easier than low-or-high speed reels. For example, if you are fishing buzz baits or Rat-L-Traps, you can set it up to a 6:2:1 reel and get a good result. Once you buy a baitcaster the reel won’t do all the work for you, you need to understand the basics and work it. To work one, it requires a lot of skill and practices that won’t come in a few uses but many. Components like the spool speed require your hands to grip on and work with. We have compiled a list of Best Baitcasting Reels which are affordable, durable and feature packed. In this article, we have covered the bases of the reels and a little insight on usage as well. There is something for everyone’s budget in this article. At an affordable price of $99, this reel will give you optimum results and performance like any other high-end reel caster. The drag system in Kastking is equipped with 3 parts – normal drag setting using the rewind handle, a magnetic system and lastly a centrifugal system. This reel has a really good finish, is pretty lightweight. This reel is so sturdy and light that it makes sure no water seeps inside and damages any components. This reel is a good choice for catching fishes like redfish and striper. The Shimano comes in a well packed green Shimano box and inside it has a lot of packing protection and has the reel diagram literature. This reel can be used with square bill crankbaits, shallow spinnerbaits, shallow castable umbrella rigs, and medium depth crankbaits and get maximum performance. The reel can be used on freshwater and saltwater also without any sacrifices in its performance. Also, the manufacturer is one of the top brands in the market who deals in providing fishing gears and equipment. 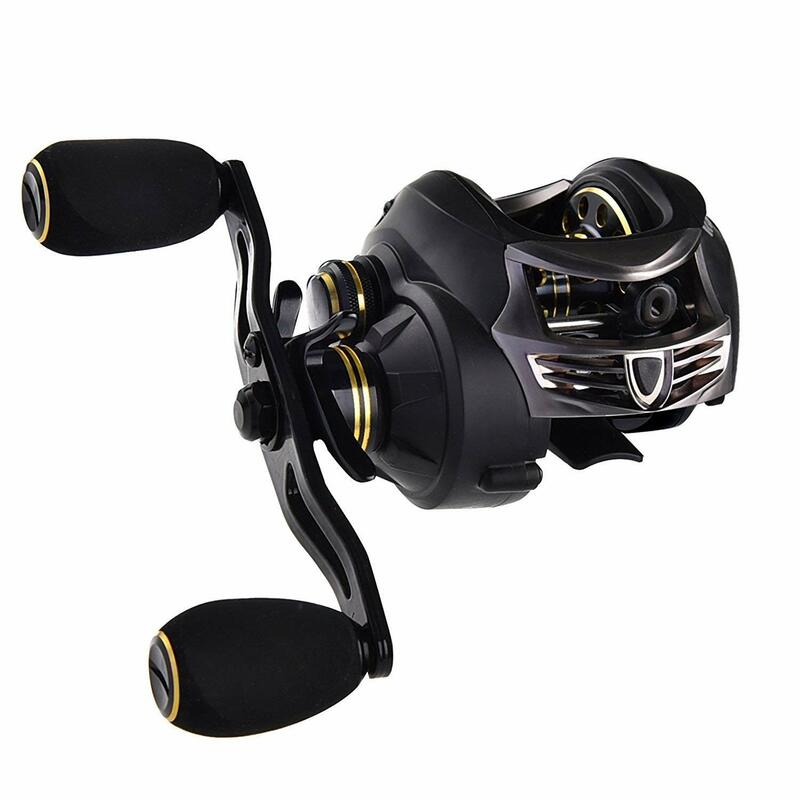 This type of fishing reel may require a lot of skill and take up your time to learn the basics but once you’ve learned it all it is worth all the efforts as it provides good performance for the price. There are two different cast drag settings equipped with this reel, one on either side and is easily operable. It is equipped with 8 pounds of mono line and also it can hold a ton of it. Apart from the drag systems, the tension and brake mechanisms are also easy and quick to adjust. 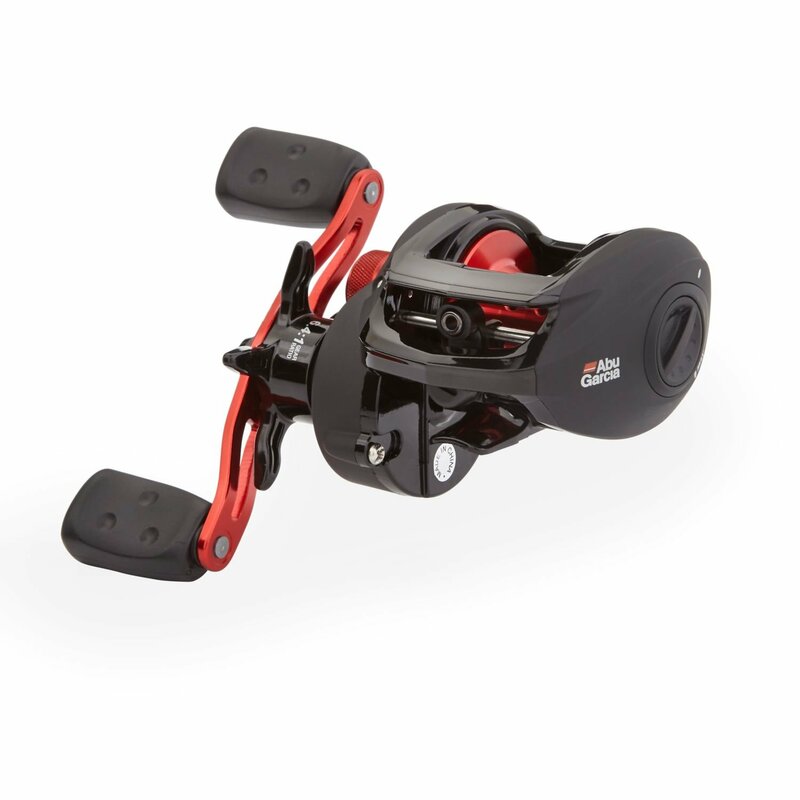 What makes this fishing reel stand out is its sleek low profile style in black with its chrome features and red inlay. You also get a nice carrying case and its material is similar to that of wetsuits so you can keep your reel covered when not in use. A full set of instructions also included in the pack which shows all of the moving parts and components of this reel. The manufacturer also gives you a $10 voucher with this pack and you can use this offer on your next purchase. Finally, this reel comes with 3 drag options for you to tune in your casts so as to avoid any backlash and bird nesting in your line. The KastKing Speed Demon 9:3:1 offers much more than the price tag. The price of $69 is much less than other alternatives that the market offers. This reel has an amazing casting distance and has delivered amazing cast bombs also. Lightweight lures can also be handled without any problems with this reel. Many weightless soft plastics can be managed without hassle. During spooling you’ll be able to notice how smoothly and compactly the line sits on the spool and also that no lumps or bumps can be found and both ends of the spool are evenly covered with the line. At a cheap price, this baitcasting reel looks are a bomb on this reel. It has a matte black finish which is resistant towards boat rash and hooks scratches. Even higher-end look is given by the red accents which make the reel’s look pop out more. Torrent has an 18 pound Max Drag and is known as “Serious Business” according to the manufacturer Piscifun. Torrent has a bigger gear than other alternatives in the market and it’s a gear ratio of 7:1:1 which is faster than usual average letting you capture lures which have a fast movement. Compared to any average reels available in the market, Torrent’s gear is bigger, stronger and more reinforced main gear. The body is completely made of Graphite Composite Body. Stealth is used using the same braking system as the Royale Legend, despite it, this reel uses a different frame and outer shell. This super lightweight reel weight at 5.98 ounces and the handle is also made of carbon fiber making it light and super strong. Unlike its alternatives, this reel might not be that great in the look department but it’s great as per the performance. This reel also feels great when you are holding it in your arms with its snug fit and easy grip hold. 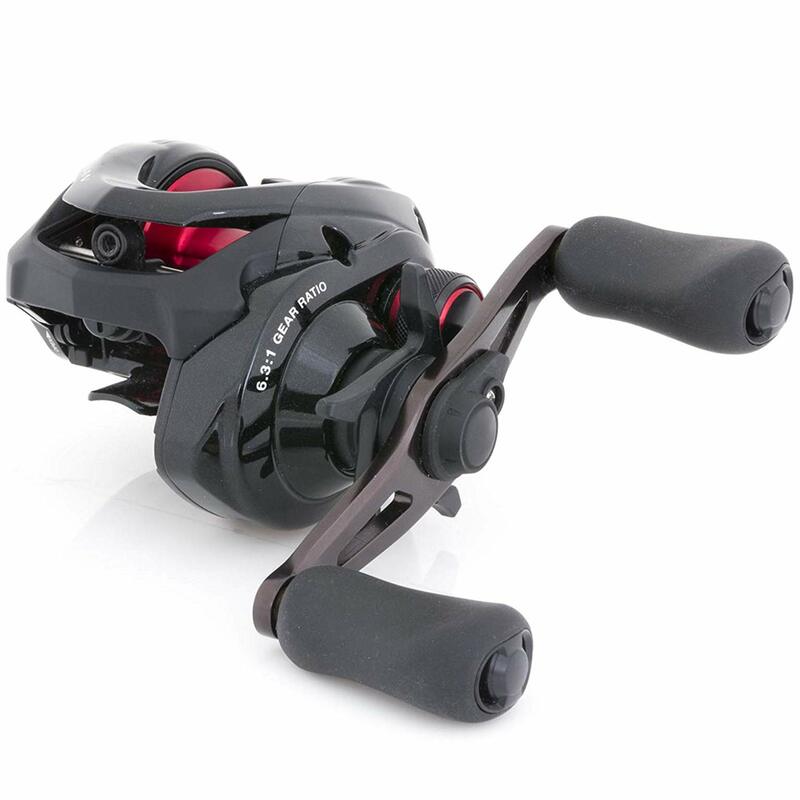 This reel weighs in at around 5.7 ounces that’s almost 2 ounces less than the Shimano Curado which weighs in at 7.6 ounces and 2.2 ounces less than Abu Garcia Revo, which weighs at around 7.9 ounces. Ounces, when held for a long time, can cause a huge difference at the end of the day making you pretty exhausted, that’s why 1-2 ounces extra or less does really make a difference. The reel has a dual braking system using two distinct systems to allow fine-tuning of spool’s speed and handling of casts. 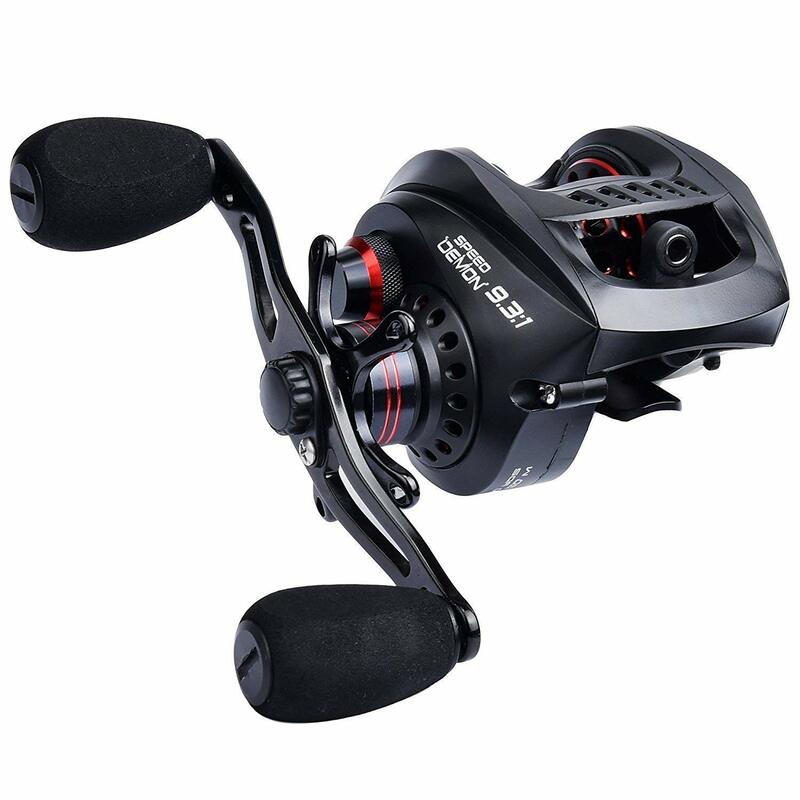 The speed spool LFS has an aluminium frame and handle and has a smooth spool operation with adjustable settings making it worth the money you have spent. It has a snug fit in your palms as it is pretty compact and small and has a great grip for you to hold on so that you can fish all day every day. The reel is very light and comes with a wider spool that holds 150 yards of 12-pound line. The reel also has easy adjustments and with just slight adjustment it can cast really well. 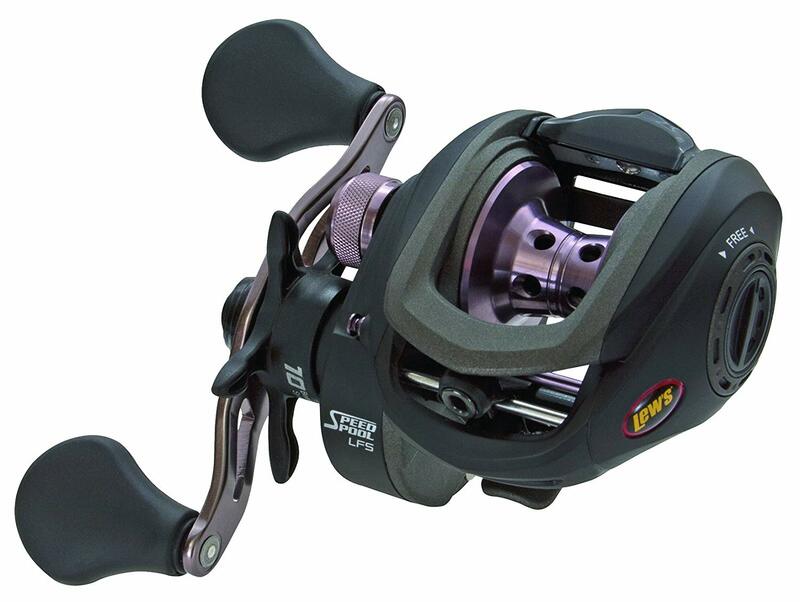 This reel has a one-piece aluminium frame which is pretty rugged along with an aluminium side plate handle too. The spool is made from machined, ported and anodized aluminium and is equipped with 9 ball bearings which are double shielded, stainless steel. This reel also fits perfectly in your palms giving a good grip for you to hold on comfortably. 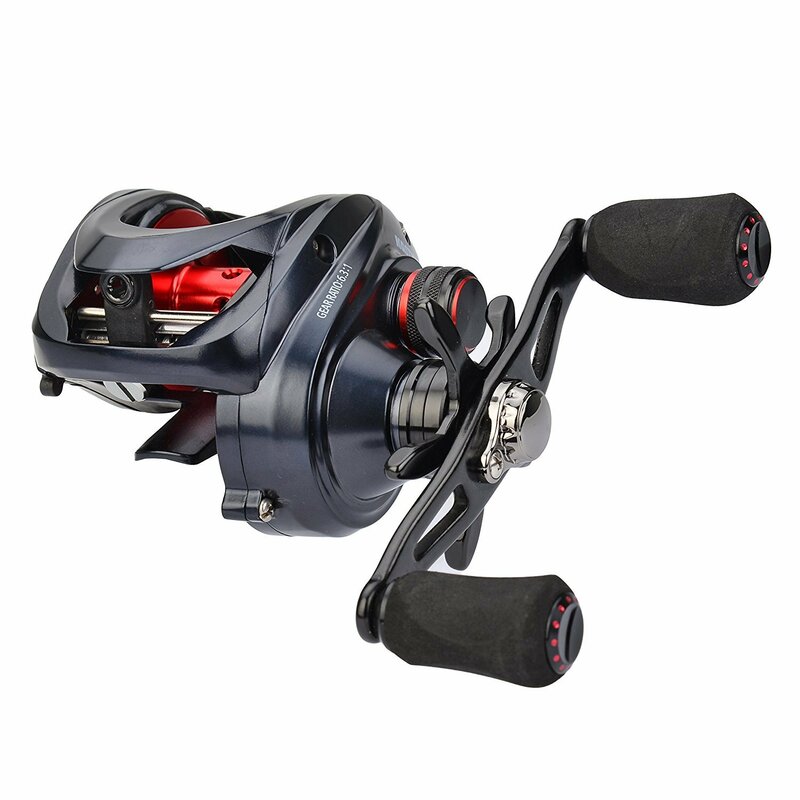 The control and precision of this reel can be controlled with the help of its adjustable 6 pins centrifugal braking system and it’s highly capable drag system. Altogether this reel is low stress, easy to operate that is pretty durable and will last longer. At this price range, you’re getting more than what you have paid for. 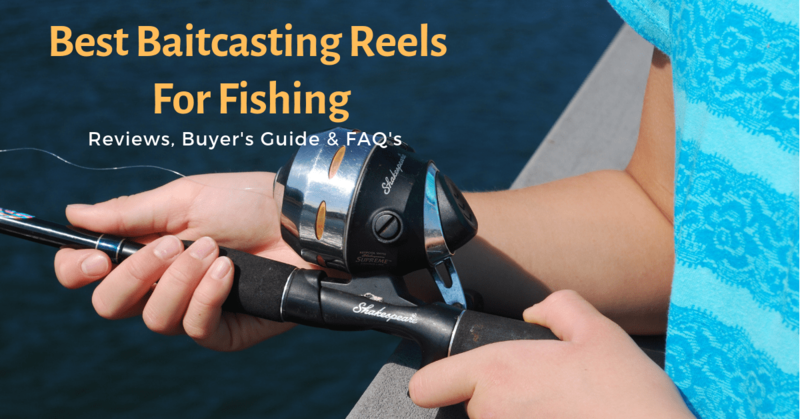 What is a Baitcasting reel used for? Baitcasting reels allow for casting lures like jigs, spinner baits and crankbaits with pinpoint accuracy, although you require a nice amount of skill to work one. If you aren’t able to get a good grip by placing the thumb at the correct place then you will experience backlashes. What is the best fishing line for a Baitcasting reel? 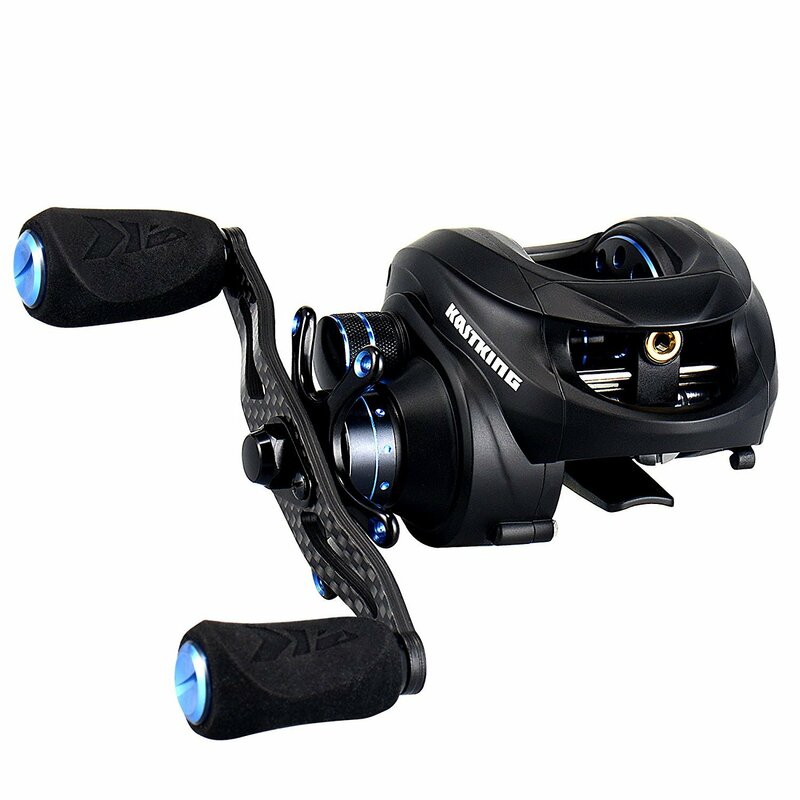 Some best fishing lines for a Baitcasting reel are – Spiderwire Ultracast Invisi-Braid Superline, KastKing Super Power Braided line, Seagur red Label Fluorocarbon and KastKing Masters Tournament Grade Monofilament etc. What does the gear ratio mean? The gear ratio is the ratio of the number of turns the output shaft makes when the input shaft turns once. In the case of a baitcaster, it basically means the number of times the spool is rotated when the handle is rotated once. For example, if there is a ratio mentioned of 5:1 it means the spool will turn 5 times when the handle is rotated once. What does drag power of a fishing reel mean? The drag power of a fishing reel refers to how much resistance the hooked fish feels when it pulls on the rod. It allows the lie to withstand pressure from the fighting fish and appropriate drag power prevents the rod from breaking during the tussle. 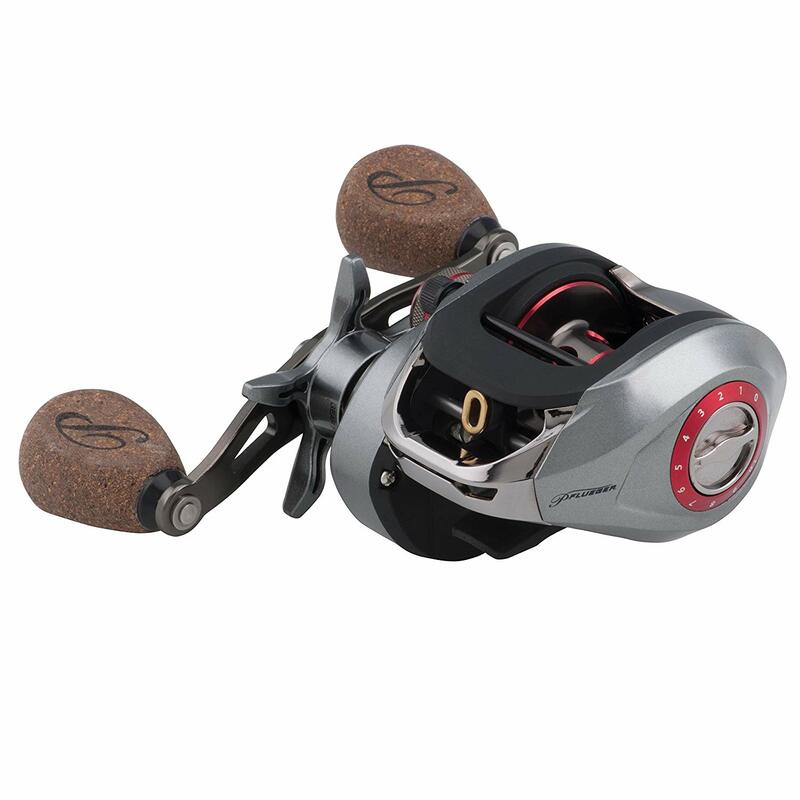 Drag power is measured in pounds and it is adjusted manually for older reels while for modern reels, setting the drag power is much easier and they often come with maximum drag settings. How to take care of a reel? It is simple as rinsing the reel inside and out with clean, fresh water and allow it to air dry. It is much better if you do this step regularly, right after you come back from fishing make sure you rinse and wash your reel. After this quick rinse, it’s important to lubricate the accessible moving parts with light oil. Lubrication is essential if you’re using gear for saltwater fishing or you’ve been in dirty conditions all day. Is Baitcaster better than a spinning reel? Using a baitcaster, the line comes straight from the starting guide on the spool and the spool is actually circulating. When fishing a spinning reel, the line is being spooled in a 90-degree corner, on the spool by a rotor. The spool itself if not circulating, it only moved up and down in order to have the line equally divided on the spool. Thanks to the difference in construction, but also because of the fact a baitcaster’s spool is constructed on both sides, a baitcaster is stronger and can handle more pressure than a spinning reel. We hope you will be satisfied with at least one of the 10 best baitcasting reels under 100 we reviewed today. As it may be difficult to choose from all these baitcasters, one important thing to note down is your personal situation. Each baitcaster is suitable for a particular situation. Therefore do research on the same, not down whether you need a baitcaster for fishing slow, low action fishes or high and fast action ones, also note down the kind of water you’ll be dealing with and most importantly the budget. Happy fishing!